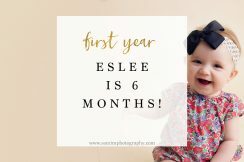 This beautiful little girl turned one in September and graduated her first year baby plan with a pecan orchard first birthday session! 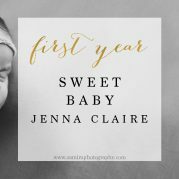 Before you see the cuteness that is this birthday session, let’s recap her other sessions from the year! Now that we are all caught up on Eslee’s year, let’s dive right in! This sweet girl came out to my parents’ pecan orchard in the cutesssssst mustard leggings paired with the on trend jeweled-tone floral shirt. Her Moma really has the outfit styling perfected. 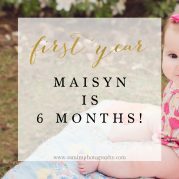 Check out this pecan orchard first birthday session and let me know what your favorite picture is! Mine is the that grump photo below! I love this photo SO MUCH! Too much sass! 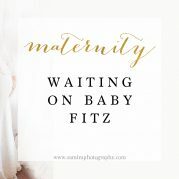 For more information on my first year baby plans, be sure to visit here! I would love to sit and chat with you for a no-obligation pre-consult in my studio. Be sure to send me an email or click the contact form above! If you enjoyed this post – be sure to pin or share it with a friend. I'm Sami, photographer and owner of SamiM Photography. I love traveling, meeting new babies, Burt's Bees chapstick, and all-gold everything. Thank you so much for visiting my website. I am just tickled *gold* that you are here! This is where you will find updated posts about business as well as smatterings of my personal life. Here you will find my most recent work, a little peek into my life outside of photography, and so many behind-the-scenes goodies! So sit back, grab a cold glass of sweet tea, and explore! I think we'll be great friends! 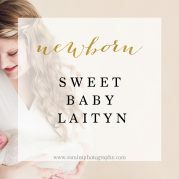 SamiM Photography is located in Ashburn, GA and is a custom newborn + family portrait photographer. SamiM Photography is a proud member of Professional Photographer's of America. © 2019 SamiM Photography|ProPhoto Photo Website Cambria by The Shoreline Collection | Designed with love by Seaside Creative.